OceanSaver have finalized all testing required for the US Coast Guard (USCG) type approval application of ballast water management systems. In close cooperation with ship-owner CSL, OceanSaver concluded testing along the Pacific coast of North America, facing a range of demanding conditions. All tests met USCG’s requirements. “We are very pleased to announce completion of all tests as part of the USCG test program. We successfully completed shipboard tests as scheduled on 5th of May. Component testing was finalized shortly afterwards – and all tests have been confirmed to meet all USCG requirements. We expect to finalize the formal application within beginning of June, thus being among the very first BWTS vendors to submit an official application to the US Coast Guard,” says Helle Hundseid, CEO at OceanSaver. 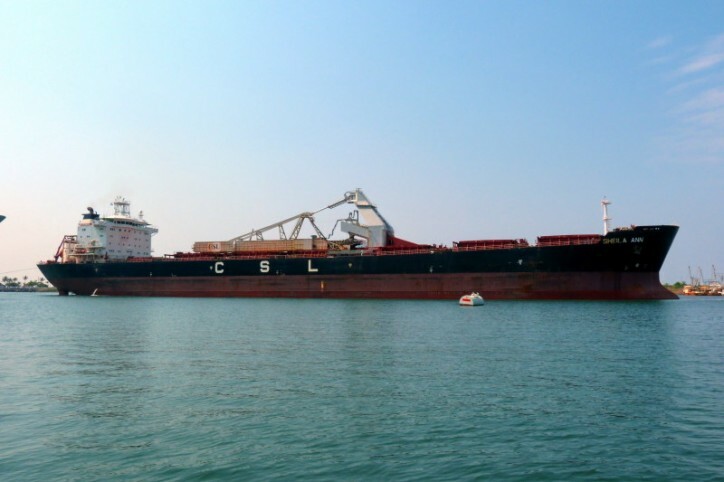 The ship-board testing - carried out on-board the CSL bulk carrier “Sheila Ann’s” 2x2000 m3h capacity system - was initiated end of summer 2015. OceanSaver’s Ballast Water Treatment System has, as per the requirements, been in operation by the ship’s crew continuously throughout the testing period along the vessels trade route. The route included the saline and brakish water ports of the San Francisco Bay, San Marco in Mexico and Tacoma, WA, USA as well as various fresh water ports on the US pacific coast – Challenging the OceanSaver BWT system to a range of highly varying conditions without disrupting the daily operation of the vessel. “As one of the first suppliers of ballast water treatment systems to apply for US Coast Guard Type Approval, we confirm our position as a frontrunner with an undisputable capacity in developing and delivering fully compliant and high-quality treatment systems for ballast water,” says Alan Linderoth, Vice President Sales and Marketing at OceanSaver. “We have consistently used the US Coast Guard-recognized FDA/CMFDA test method, and therefore have confidence in our formal application once submitted to classification society and US Coast Guard,” Linderoth continues. This accomplishment is yet another proof of OceanSaver’s efforts to perform to the highest industry standard – as they recently strengthened their compliance portfolio with a full Class Approval by ABS to compliment the existing DNV-GL Class Approval. OceanSaver also continues to win contracts in a highly competitive BWTS market, recently contracting delivery of treatment systems to six newbuilds in Korea.